Cover Letter Writing. Include a cover letter or not? This one is a no-brainer. When polled, 50% of executives want to see one with the executive resume. So why take the chance of displeasing someone before they've even skimmed your resume? It can seem like just one more thing to do. Everything's in the resume, right? Yes and no. A branded executive resume can do a superb job of making your case for getting an interview. But the cover letter can add a little je ne sais crois - a little something, something on the soft skill side, that can give you a personality, make a one-to-one connection, give color to your reasons for approaching that particular company, and make a persuasive argument for why you should be hired. Someone who perhaps doesn't quite have all the credentials can compensate for it by using the cover letter to communicate value in another light. Someone changing industries can reassure the hiring authority that they have all the necessary transferable skills and then some. Someone who is right on target for the job can briefly zing the reader with his/her top accomplishments and go on to propose that they can do the same for this new company. Cover letters can act as band-aid in some circumstances and steroid in another. Done by a professional, they can exploit the value add potential of this medium all the while "sounding like you." If you need a cover letter to put you over the top, contact us at info@AResumeforToday.com. 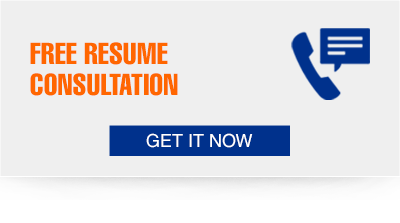 We can have a free consultation about what you need your cover letter to do for you!